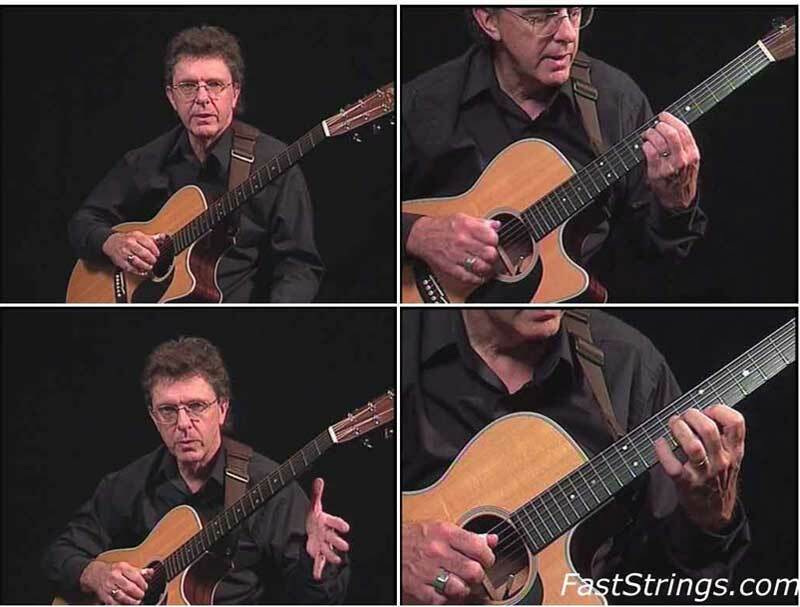 John Carlini Chord Solo Guitar Volume 2 download free. John Carlini s a musical Renaissance man. He embraces all styles of music with an understanding and passion that is evident every time he picks up his guitar. His influences range from guitarists like Andres Segovia, Django Reinhardt and Lenny Breau, to pianist Bill Evans & saxophonist John Coltrane. Carlini has the uncanny ability to incorporate all these styles & make them his own. John truly has music in his blood. His father was a violonist in the New York Philharmonic, while his mother was a virtuoso piano player. John graduated from Berklee School of Music & went on to collaborate in musical ventures with contemporary acoustic musicians like David Grisman & Tony Rice. When he’s not teaching, John fronts his own quartet performing many of his compositions. Now sit back, listen & learn from one of the best. Learn 5 complete chord solo masterpiece tunes & the theory, technique, & artistic insights using these tunes as examples. What makes this series so special is the stumming beauty of the arrangements. The course is taught using both fingerpicks and flatpick.